This is a deceptively awkward question! The answer you get will completely depend on whom you ask. 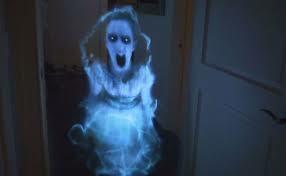 The “ghost” is one of the most popular concepts of the paranormal (beyond normal). Yet, there is not one agreed-upon definition across disciplines of what a ghost is since one has never actually been caught and examined. No ghost has ever been confirmed caught and/or examined by anyone or anything. Therefore, we can’t determine its actual characteristics with any amount of certainty. There is no scientific conclusion that any other realm exists for our “being” to pass to after death. There is no evidence that “energy” remains or can be contained in a human-looking entity after the body is dead. Paranormal investigations are rarely supported by good historical evidence and scholarship. Techniques of investigation are amateurish and tend to support a prior belief instead of discovering verifiable and verified information. No equipment has ever been shown to actually detect ghosts. Not even “ghost detectors”. Ghosts used to be described as full apparitions, not mists or orbs streaks of light. 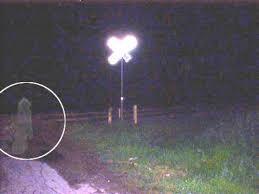 Modern ghost pictures are obscure; a full body apparition has never been verified on film though many hoaxes of them have been publicized by the media. Hoaxing must always be considered for ghost “evidence” because it is tremendously prevalent. Why do people still believe that ghost does exist? The evidence for ghosts is so very weak, but people still believe in them. This belief is an ancient part of human cultures across the world. Why? The idea of ghosts offers many people comfort; who doesn’t want to believe that our beloved but deceased family members aren’t looking out for us, or with us in our times of need? Ghosts served an important literary purpose and were useful in storytelling. Some of these stories were believed to be accurate even though they were made up. Most people believe in ghosts because of personal experience, they have seen or sensed some unexplained presence. Our culture allows us the option of interpreting these strange events as “ghosts”. How can we explain ghostly experiences? Believing in ghosts is not ridiculous. It’s a common human idea. When our senses and our brains mess with our perceptions, we may be justified in believing in paranormal experiences. Most people do not comprehend that our senses can and will fool us all the time. We see, hear, smell and feel things that are not really there, thanks to our brains. When we are bombarded with media messages about ghosts, presented as if factual, it is easy to buy into the belief especially when it is culturally acceptable to do so. There are many circumstances where people may perceive they have experienced a ghost. Natural conditions that may in some cases cause people to feel uneasy include exposure to infrasound, darkness, silence, closed in spaces, or high electromagnetic fields. But the most important factor seems to be prior belief in ghosts and expectation that they are present. This is why haunted places enhance their reputation as much as they can. 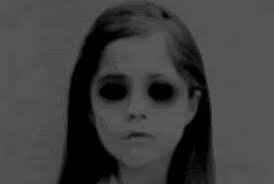 The more they tell you others experienced paranormal phenomena there, the more likely that you will attribute every anomaly to the paranormal and not seek out the actual explanation. Why do ghosts wear clothes? If ghosts are human souls, why do they appear clothed with inanimate objects like hats and canes. Why do ghost trains, cars and carriages exist who have no life energy? How can a limbless, immaterial spirit move objects, slam doors or make footstep sounds? How can an entity without organs and vocal chords produce speech or screams? How can voices we can’t hear be recorded on a device? Why don’t paranormal groups collaborate and show that they can get the same evidence, independently and blinded, on multiple occasions? Humans can detect quantum particles with extremely sensitive instrumentation. Why can’t we yet detect ghosts? If a place is really, really haunted, why haven’t scientists been able to set up shop there and finally capture genuine paranormal phenomena? How to Use Pendulum Readings?